We are very proud to be Platinum Partner of Oracle from 10 years!! There are very few companies that have this level of excellence and we are very proud not only to have obtained this qualification but also to be able to sustain it for a decade! Receiving this award is a great honor for all of us of Alfa Sistemi, but we will never be able to celebrate this tenth anniversary without the contribution of all members of our staff and to them goes so very special thanks! 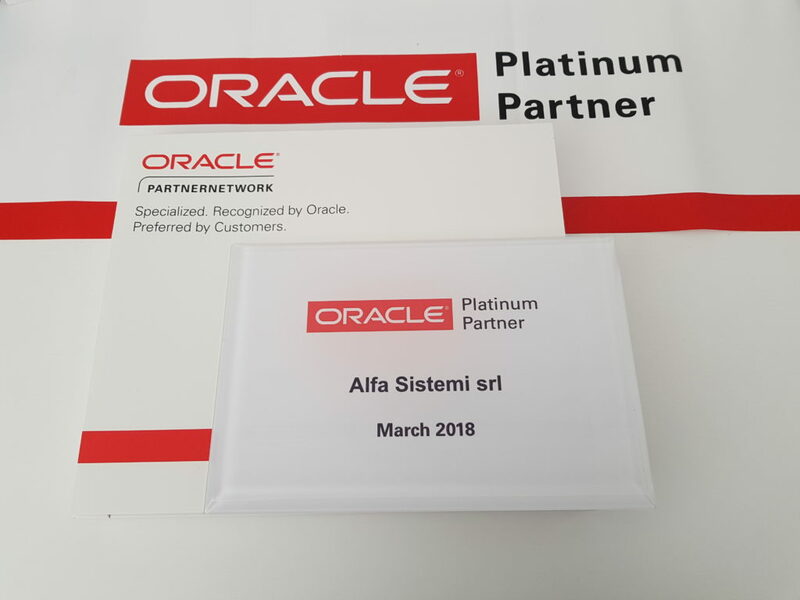 Be Platinum Partner of Oracle means working every day with great commitment and professionalism: our goal is to be informed, to know all solutions and the various applications of Oracle technology in order to assist our customers in the best way. We reached an important milestone, but we have no intention of stopping! We will continue to grow, overcome ourselves and do our job the best way possible by always side by side with our clients!